Addressing, gate settings and selection of the control type. If more than one Command Station (CS) is defined in Rocrail and the signal is not wired to the first (default) CS this field must be used to link this signal with a specific CS. Otherwise to be left blank! See Addressing Accessory Decoders for details. This is control system dependent. Used only for SRCP, DDX, Dinamo and OpenDCC, otherwise it should be left blank. 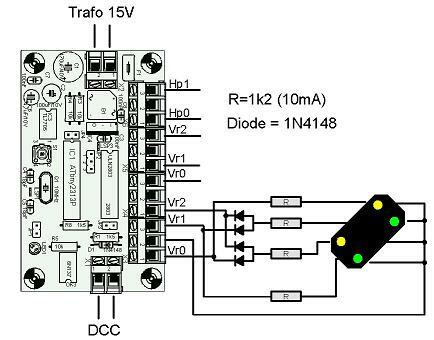 Dimming speed for LED type signals. Simple port control using the address and port fields and the gates (red or green). See Signal Setup, chapter 3.1 for details and examples. 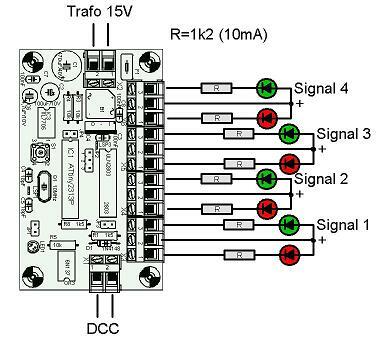 Signal decoders are most likely controlled with patterns on two ports. The patterns are set up on the Details tab. See Signal Setup, chapter 3.2 for details and examples. Use the aspect numbers specified on the detail tab for the accessory command. For signals with 4 or less aspects the aspect numbers must be set. See Signal Setup, chapter 3.3 for details and examples. Used to control all aspects with 2, 3 or 4 outputs. For none flat, FADA, addressing the correct gate setting, red/green, is necessary. BiDiB Use the accessory instead of the port command. Xpressnet Switch off the signal outputs after 10ms. 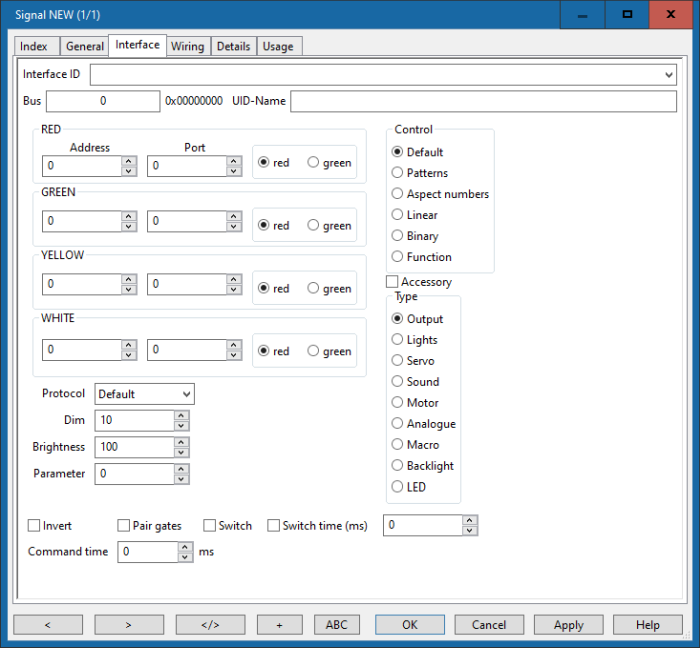 Some decoders, like BiDiB LightControl, provide different port types on the same local address. The switch option is only usable for 2 aspect signals to provide some kind of support for libraries which do not support single gate addressing like p50 and slx. For usage see Signal Setup, chapter 3.1. A better way to control signals with systems unable to process outputs is the Pair gates options which also send switch commands. This option is only usable for 2 aspect signals to swap the red/green command. This option will send switch- instead of output commands. Optional wait time in ms between commands as work around for some command stations and decoders not capable to process 2 or more commands within a very short period of time. In this case you only have to set port 1 for a signal with only red and green. The gate 1 variable is ignored: RED is 0 and GREEN is 1. Here you setup Vr0 on port 1, Vr1 on port 2 and Vr2 on port 3.